For me, the name elicits many things. For one, it is the mental image of a frazzled mom with a young child clinging to her side and maybe another strapped to her belly. It is a weary mother who cannot seem to brush her own hair, though she has brushed her children’s. For me, the name elicits many things. For one, it is the mental image of a frazzled mom with a young child clinging to her side and maybe another strapped to her belly. It is a weary mother who cannot seem to brush her own hair, though she has brushed her children’s. It is an exhausted momma who tries to keep a clean house, but fails regularly. It is a woman, a mother, who might be tired, often overwhelmed, certainly underappreciated and likely underpaid. She works hard, loves deeply, struggles mightily, and fights fiercely for those she loves. But still, too often she neglects her own needs and is left feeling empty. This is one image I get when I hear Mothers of Preschoolers because…This. Is. Me. But this is only part of the story. You see, there is another image that comes to mind when I hear the MOPS acronym, one of joy and of challenges shared. After having attended MOPS for three years I see the image of a community of women and their children coming together to combine their strength, what is remaining of it, to combine their gifts, talents, ideas, and skills. That together, these women would thrive; their burdens and joys shared! Each woman content, knowing that there will be days when she is the one being carried through the messiness of life, and other days when she will be the one carrying! Much like Paul shared with the Corinthians, that both our abundance and need be shared. Having seen and experienced the beauty of this community, of joys and burdens-shared, between mothers in the East Mountains I know that there is a transformation that happens as God uses a community of women to lift one another up. And as women, once we’ve experienced the hope, gratitude and strength of that generosity, it inspires us. MOPS is about living lives intertwined. 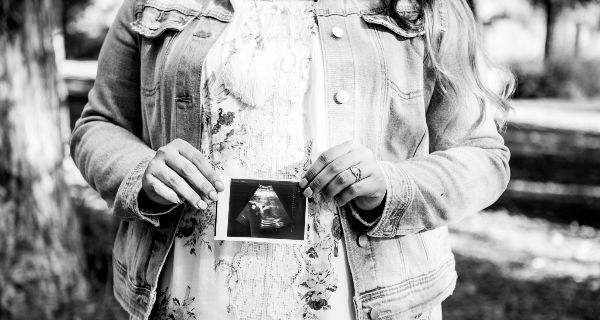 It is about the hope given to other mothers in the middle of their struggle; whether it be the birth of a new baby, postpartum depression, or health problems, MOPS moms have risen up to the challenge to provide for not just the basic needs, but also providing hope. 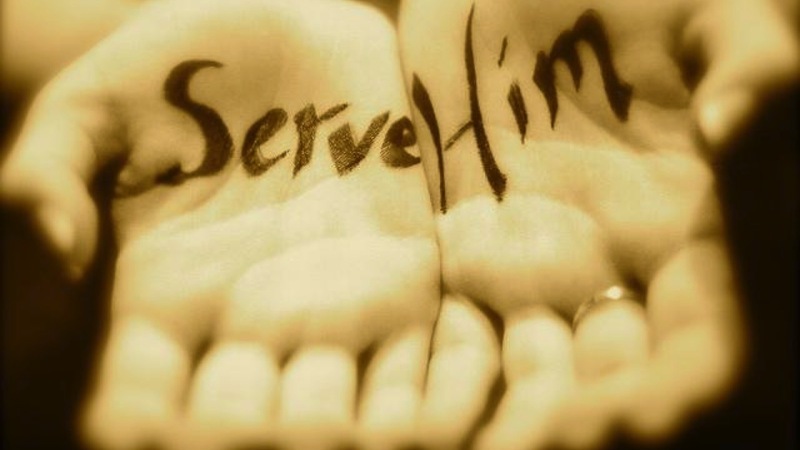 I’ve seen God in our midst, as we are the served and the servant. 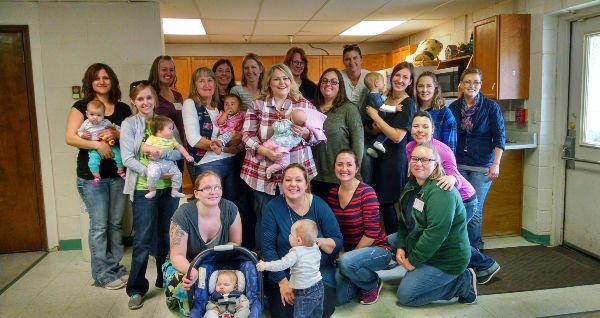 The MOPS community sends the resounding message that we are not alone in this marathon of motherhood and life. Instead, we persevere together. Friendship is born from this kind of space. Stronger women and families emerge from this community because, though it can often feel lonely raising kids in your own home, you know you are not alone. There are women here who have your back. Visit MCC's MOPS page to learn more about this ministry. Barb Procter has spent years attending, and then facilitating, MCC Women’s Community Bible Studies. I know she has been where I am now. But more than that, I want to hear how she survived it. What had studying the Word meant to her? How had His presence made these times easier? How had the relationships she developed, the moments of vulnerability, and the stories she heard from other women during these Bible studies helped her in the day-to-day? Barb drew a beautiful word picture for me about how it is that God stitches together each experience, memory, and emotion to make something completely unique, completely you. Yes, your life is like a beautiful tapestry; there might be days it feels more like a dishtowel than a masterpiece, but every single stitch, fabric, color and design are there for a reason. While we may wish that every fabric was bright and beautiful, and mourn those dark colors, or hard times, there is a reason for those, too. In Jesus’ Sermon on the Mount, we are reminded of this when He says, ‘Blessed are the poor in spirit, for theirs is the kingdom of heaven (Matthew 5:3).’ Barb reminded me that the tapestry of our lives wouldn’t look the same without these experiences. That image, this word picture, absolutely stuck with me and keeps me wondering what my tapestry will look like when it’s all said and done. When I stand beside Jesus. I have to think that it is good to consider where we are at. Are we spending enough time in prayer? Enough time in the Word that He, our Master Craftsman, might stitch together the broken bits along with the brightest and most beautiful moments, the everyday and mundane? 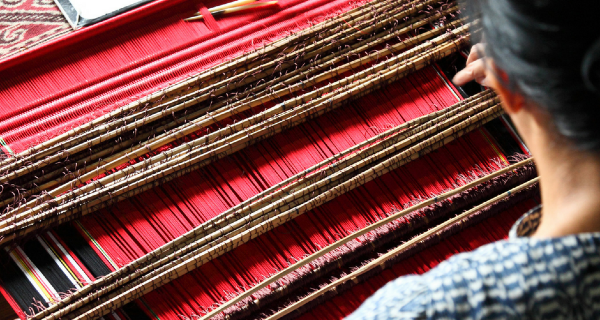 What might he stitch together to bring something remarkable, Godly, and God-glorifying to and of our lives? Is God, right now, weaving the experiences of your life together to make a unique tapestry? Have you welcomed those stitches, the thread that weaves these experiences together, or have there been times when you wanted to pull them out? I’ve done both, sometimes on the same day! My conversation with Barb has convinced me that there are women here who can help. My mundane and terrifying is their melody and tenor. And that the MCC Women’s Community Bible Study is just the place for our washrags to be transformed into tapestry. As Barb points me back to God’s constant and unchanging Word, I realize she is an example of how to thrive, not just survive. My knowing that God is using every moment – even this one- to make a tapestry that I will laugh over, cry over, smile and sometimes mourn over, makes me happy to be His work of art. We have four amazing women's Bible studies at MCC going on right now! Today is the perfect day to get involved! Click here to see all the Women's Bible Study options! Renee and I planned to have lunch together yesterday to catch up on our lives and just generally enjoy ourselves. However, God had far greater plans for us. arrived, Renee stood up and told him that she'd pray for him, and we both started walking away. He stopped us, though, and asked if we had a couple dollars. We said no, but Renee offered to buy him something to eat. She told him to just come in with us and order what he'd like. We all went inside and ordered together, then waited together, then just ended up eating together. Jordan shared as much as he wanted about his life, and Renee and I listened. Jordan was certainly on drugs, but that didn't bother Renee and I that much...we both lived for years with family members who were trapped by drug addiction. And that's how we were able to tell him that there was real hope for him. Both our family members have been freed of their addictions by the explosive power of Jesus' love. When Jordan spoke about wanting to get his life together, we shared with him about how Jesus had put back the lives of our loved ones, and could absolutely do the same for him. Jordan said multiple times that it was so nice to just sit and talk. I think he meant that it was nice to be heard. He told us that so many people think terrible things about him, but they don't know him...the real him. We told him that God knows, and that He's not disappointed in him. He loves him. The words of our study, Sent, kept coming back to me as I found myself tempted to focus on Jordan's basic needs, especially his need to get out of the drug trade. I kept thinking, "What he needs most is love." He believes he's unacceptable, unimportant, and rather hopeless. As long as he believes these things, he'll never see a reason to do anything differently. He's taken on the identity of an outcast. But Renee took him inside a restaurant and showed him the same respect and dignity she showed me by sharing a meal in a public place. For that hour, he was no outcast; he was one of us...he was a friend. I don't know how much we really impacted Jordan that day, but I do know that God was there. We prayed hard and loud for Jordan at the end of our lunch, and I know He heard us. It was such a privilege to have God open that door today and invite us to step in. I'll admit that Renee said yes for the both of us, but boy, am I glad I walked in with her. It truly is such a joy to serve this way...to affirm a person's worth, to speak life to their busted heart, to set aside the pointing finger of judgment and instead, extend the arms of love. And now, we trust God for the results. Who knows who Jordan will meet tomorrow? Maybe it will be one of you, and he will hear again how loved he is, beyond measure, how much hope there is for an abundant life in Christ, how freedom is within his reach. And maybe the next day, he'll wonder if it's true. And maybe if we Christians keep treating him this way...as a valuable person who is loved by an infinitely good Father... one day, he'll dare to believe it. How has God called you to move step outside your comfort zone and step into someone's need? So, we looked at the passage, and yes, that was the exact wording. But 1 Peter is not about health at all, it is all about persevering. That’s when I realized, more than ever, that to understand God’s word you had to understand the context from which it came! The only way to understand context is by digging deep into God’s word and truly seeking to understand. A person believes that God does not love them because He has not made them wealthy. He has been falsely taught that his prosperity is tied to his faith and is crushed under the burden of trying desperately to have the right amount of faith. He does not know the Lord’s economy (Luke 6:20-23). Marriages have been destroyed because a spouse blames the devil instead of acknowledging that it is his or her own sin that is tearing at the fabric of tenderness. This leads to a lack of repentance, confession, reconciliation and restoration. A mother blames herself for her child’s sickness because she thinks her faith is not strong enough to heal him, instead of seeking what the Lord may have for the family through the trial (John 9:1-3). The most tragic is the one who believes in a nebulous deity, but refuses to worship the real God. He does not know the joy of a saving faith, but simply has the faith of a demon (James 2:19). A group bible study can be a great place to start seeking to understand! 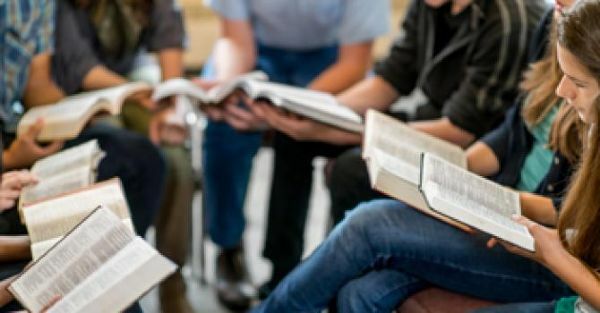 It is my prayer that each of us are in Bible study with one another; that we would persevere and seek to learn His Word and link arms with other believers and to “do” His Word. If you are someone who desires to read and study the Word, but are not sure how to begin; or if you are someone who is seeking a group to study God’s Word with; we invite you to consider one of MCC’s bible studies or Community Groups. Check out MCC’s Men’s and Women’s ministry pages to see where you might join in! If you or someone else needs or is interested in Biblical Counseling let us know, you are not meant to walk through life alone. Please persevere in your study of God’s word; for this is the ministry of God’s Word in us -- it is on-going; we are challenged; we are shaped; we are encouraged as we dive into its depths; and we are simultaneously satisfied and yet crave more of Him.